Let’s not short change our body with foods high in fat, sugar, and chemicals. If you are still eating many of the foods listed below, simply start decreasing the quantity until you are in control. How do you decrease the “bad” foods. It’s simple. Increase the GOOD ones! Everyone already know the good foods: fruits, vegetables, whole grains, nuts and quality proteins. If you needed to choose the best food group, it would be vegetables. So Below is the list of foods to avoid, or at least start decreasing your intake from. It is full of calories that sabotage healthy eating and prime your palate to crave sweets. The world is filled with sugar addicts. When our blood sugars are high we are high. When our blood sugar is low, we feel totally run down and exhausted and want more sugar. Sugar has no vitamins or minerals, just lots of fat-building calories. 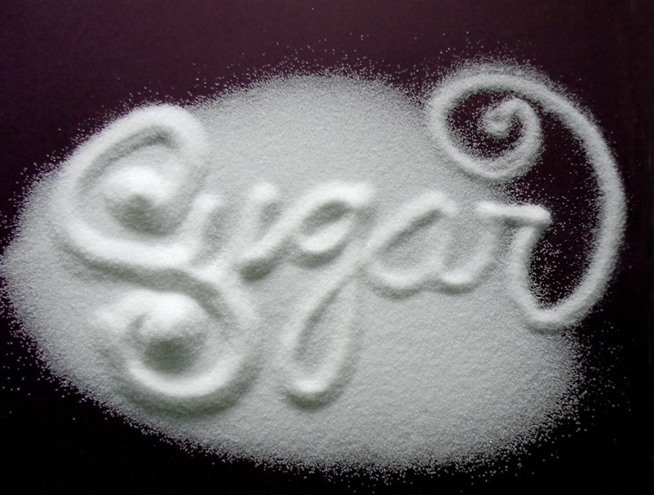 Watch out for hidden sugars! 2. Alcohol blocks the body from burning fat. Alcohol increases the release of the hormone cortisol that breaks down muscle and retains fat. The loss of muscle can slowdown metabolism making it easier to gain weight. Also, alcohol causes a drop in testosterone in men, a hormone which helps burn fat. Fat metabolism can be reduced by as much as 73 percent after only two drinks of vodka and lemonade in a one hour time period. (American Journal of Clinical Nutrition). Note: We know we already mentioned alcohol and it looks redundant but red wine is SPECIAL thus needs more clarifications. People who consume moderate amounts of red wine (and other types of alcohol, too) may be at reduced risk for heart disease, Alzheimer's, certain types of cancers, and even weight gain. The key word: moderation. A 5-ounce serving is about 130 calories. Get it guilt-free: Beware fishbowl-sized glasses, which make you more likely to over-pour. Pour your wine into a measuring cup, and then dump it into your glass to see what a serving looks like in your glassware. 4. 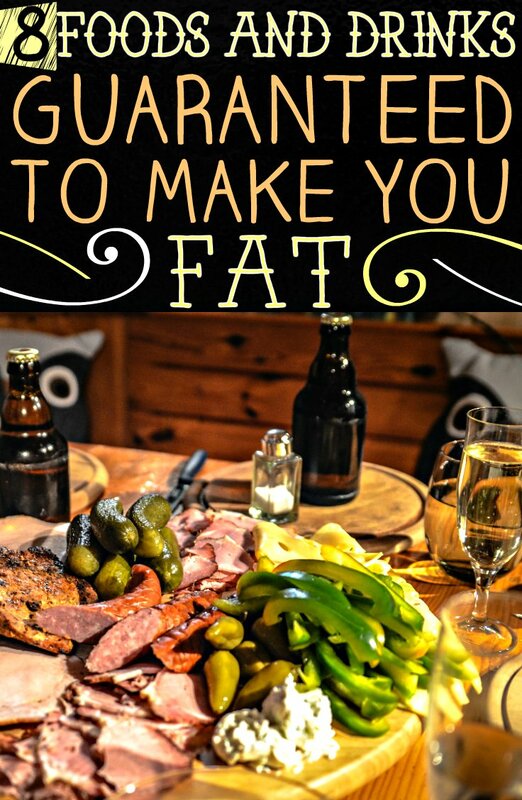 Processed meats (lunch meats, bacon, sausage, hot dogs) are high in calories, fat and sodium. Sixty eight percent of bacon’s calories come from fat, almost half is saturated fat and each ounce has 30 milligrams of cholesterol. Too much salt in your body leads to water retention and bloating. NO amount of processed meat is considered safe to eat, according to the American Institute for Cancer Research. Do not this is not speaking of meat in general….just processed meat. We are the result of what we eat. Protein is good, right? Do you really have to ask? Yes! But not if it comes teamed up with ab-killers fat and sugar. We've got your ideal protein-bar approach. Rule No. 1: Save them for when you’re in a jam, like when you’re out on a long hike or traveling, and in those instances eat half the serving size at a time. Rule No. 2: Shop smart. Opt for a ready-to-drink (RTD) alternative when posible, or pick a bar with reduced sugar. RTDs typically contain half the fat and sugar, and 100 fewer calories, compared with bars. Take all the nutrients and antioxidants from several servings of fruit and shrink them down into something that’s super easy and convenient to eat. Sounds great, right? Well, this snack is often loaded with added sugar, plus it’s not unusual to plow through an entire bagful. 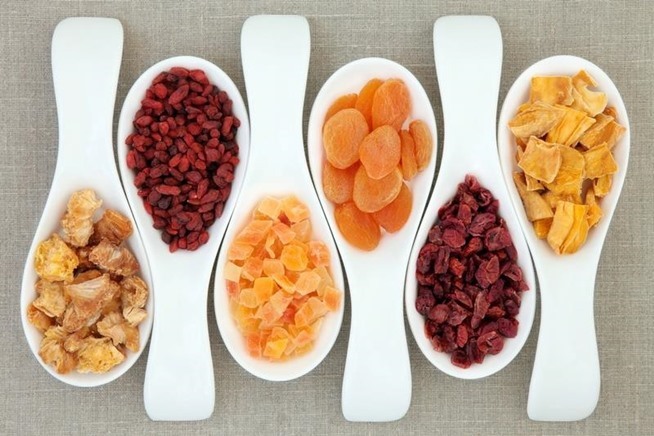 To avoid a blood sugar-spiking snack session, go for fresh instead. These tricked-out thirst quenchers might promise magical powers, like reviving you from the worst hangover of your life or helping you stay focused at work on a Friday afternoon, but the boost you feel after downing a vitamin-enhanced beverage comes more from sugar than it does from a slew of B vitamins and electrolytes. Some 20-ounce bottles contain more than 30 grams of the sweet stuff. And just like your body absorbs nutrients more effectively from real food than it does supplements, the same thing applies to the vitamins and minerals that have been used to fortify these rainbow elixirs. A cup of black coffee sets you back a measly 5 calories, but how many of you are downing the stuff straight? If you're an avid Eat This, Not That! reader, we know you already stay away from fat-laden frappuccinos topped with whipped cream (right?!). But innocent-sounding drinks may be derailing your diet. 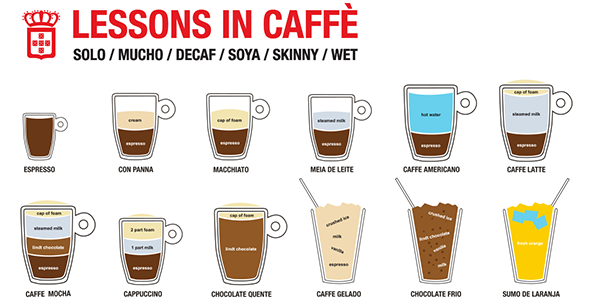 Blends of espresso and milk can still carry a load of calories if you aren’t careful. That daily 20-ounce latte made with whole milk, for example, weighs in at almost 300 calories and 15 grams of fat—and that’s before adding sugar.